The day has come. Too fast, too soon. I was getting comfortable with my volunteering work, my host family, the smell in the alleys, the call to prayer at 5 in the morning, then I had to leave. The language barrier, altered culture, different traditions and religion made the journey challenging, but interesting and enlightening. To see the progress that in only a few weeks we made was significantly noteworthy. It surely wasn’t much, oh no, but you can’t change the world in a few days. We didn’t manage to teach languages, however, the progress came from the exchanges and interactions amongst all of us, women. We connected with them by showing truthful enthusiasm in their lives and environment, and the interest was mutual. At the end of the day, it didn’t matter what colour of skin we had, what language we spoke, what country we came from, what religion we believed in. It was the sympathetic feelings of solidarity, recognition, and togetherness that brought us all together. I realized that unitedly we made it all possible. We empowered each other. There is still a long way to go, but with the help and support of following volunteers, these beautiful women will grow into flourishing human beings. After exchanging email addresses, clicking some photographs, and drying some tears, we said goodbyes. I left the blank booklets and pens on the table, with hopes to inspire them to learn furthermore. I accepted the kiss on the cheek but also reached for a hug, and I held them all with all my love. The class prematurely finished that day and the kids were brought to the courtyard. The teachers put on music and, while holding hands in a circle, we sang, swung, jumped, skipped and spun on the dance floor. It was a full hour of festivities, filled with laughs, giggles and beaming smiles. The children were too young to understand the reality of the event: they had no idea we were leaving. All they wanted was to be part of an image clicked by my camera, their toothless smiles and bright shiny eyes ready to be photographed. I was overwhelmed by all this devotion and appreciation. I felt like the worst teacher and didn’t believe I deserved such a celebration. Indeed. I’ve never realized any of that. I felt like those teachers, and those women and even those kids taught me way more than I taught any of them. Picture taken on my last day at work with the children, the Dar Attilaba teachers and IVHQ coordinator. The teachers also made me promise to come back and stay with them, and teach their kids. It was hard to hold the tears and I could see theirs reaching the edges of their almond shaped eyes. I hugged the children goodbye, without being able to explain that this would be the last. Those kids that once were so challenging to teach. Although at the end, I saw them as my students. The ones that looked up to me eager to learn. The ones that get so excited when I reached papers out of my bag for them to colour. The ones whose eyes sparkle as they see PlayDoh for the first time. The ones that held my hand while a story was read. The ones that ran into my arms and gave me the most sincere kiss on the forehead. 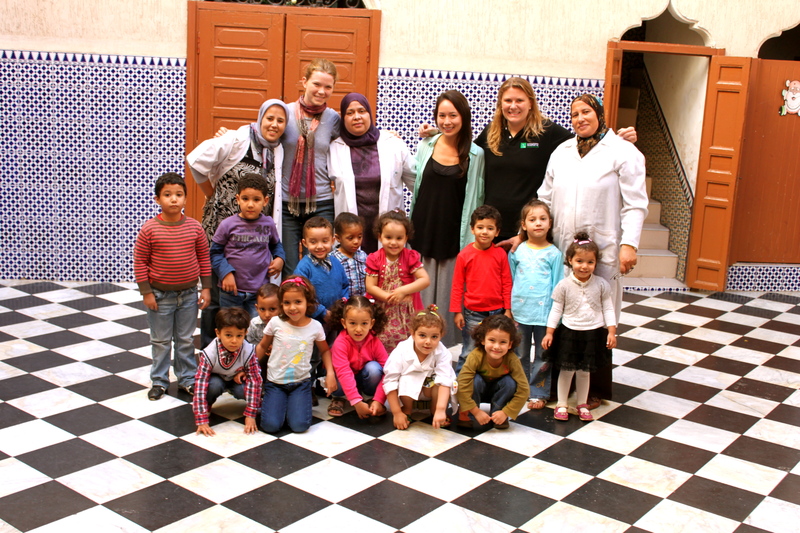 This first volunteering work in Morocco was indeed one of the richest and most rewarding experiences of my life. Not only did I gain a better cultural understanding of a country, being exposed to a new language, religion and environment, but I also built strong ties with inspiring and remarkable individuals. 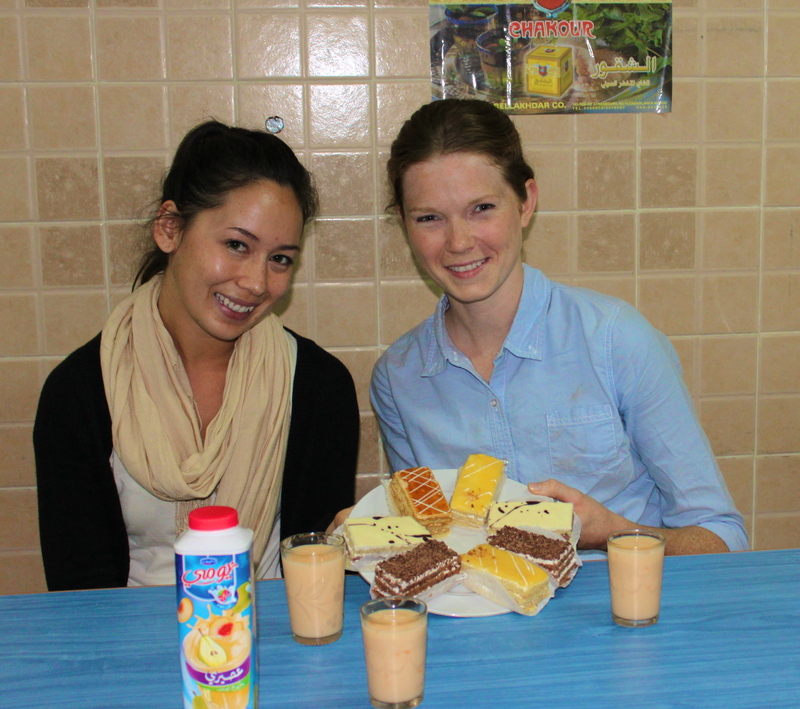 Volunteering abroad has met my expectations in many ways: I did get confused, disoriented and uncomfortable. I did think: “what have I gotten myself into.” And I’m glad I did. You can only grow and learn when you take risks and accept challenges. And once you start thinking outside the box and work past your comfort zone, you get a true sense of accomplishment and identity. This mind-opening experience not only gave me the chance to change others, but it mostly changed me. As well as having a positive and meaningful impact on the community, this volunteering work experience gave me a new perspective on life and gave me a sense of purpose. It also motivated me to engage myself furthermore into developing communities and continue to help others in need: To volunteer, to give back and to receive, and to be involved as a global citizen. Rabat, Morocco, 2013: Where I have left a piece of my heart, along with a footprint behind.